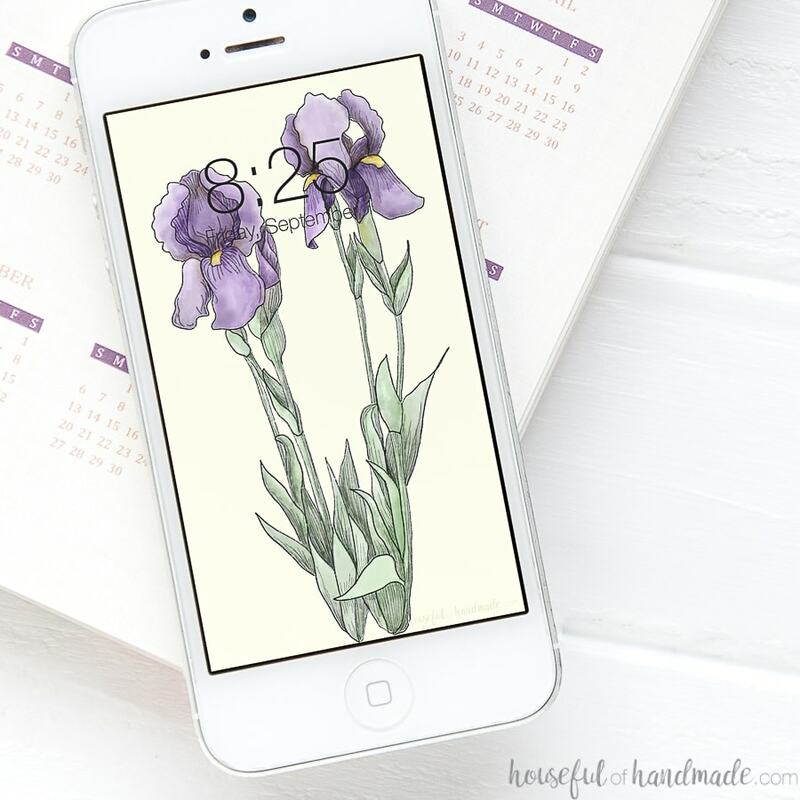 Decorate your phone and computer for spring with these hand-drawn iris free digital wallpaper. Happy April! Even though the snow is just barely melted, the spring bulbs are peeking though the ground. 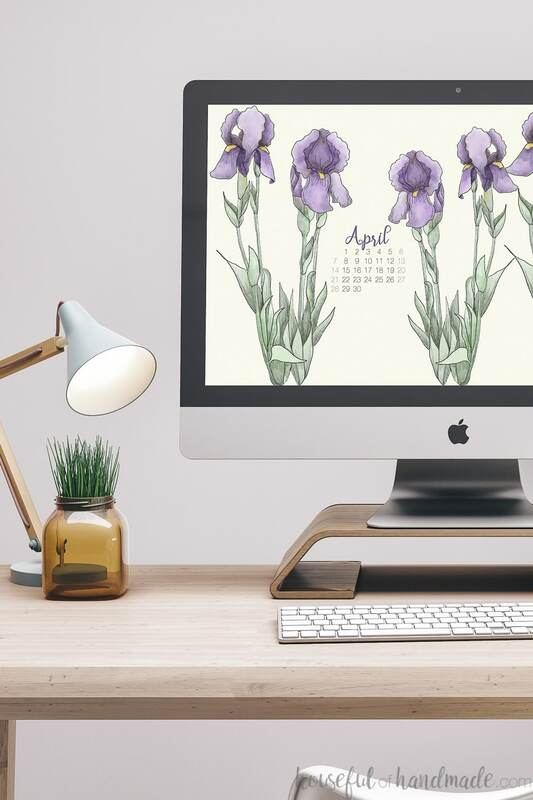 What more inspiration did I need then that to make these beautiful free digital wallpapers for April. This time of year I always want flowers. Flowers in the garden… flowers in a vase in the house… and flowers on my phone screen! Ha ha. 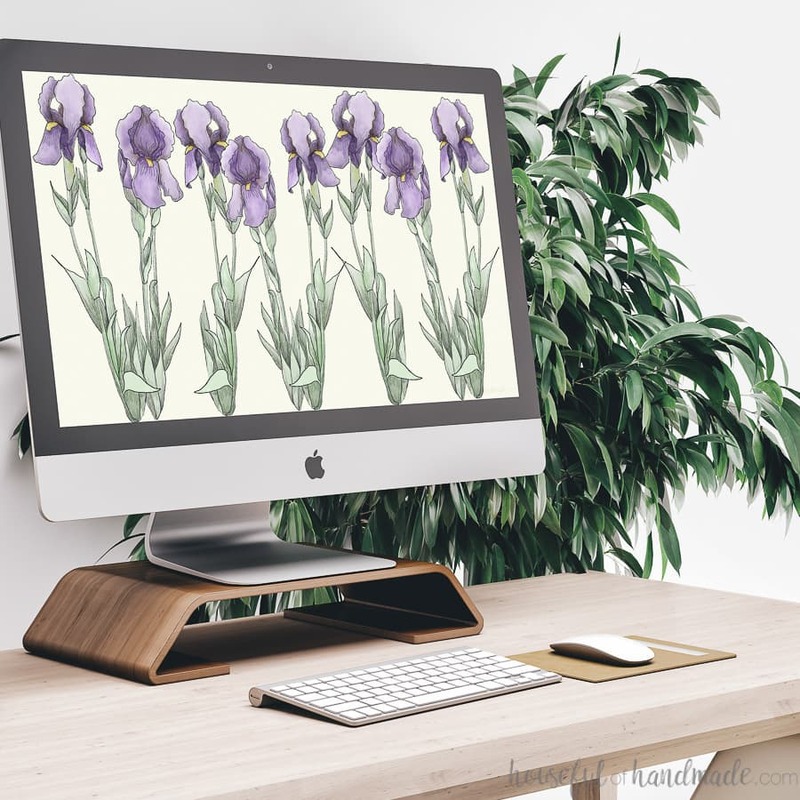 Maybe not the last one as much, but then after I put these hand-drawn iris wallpapers on my screens, I realized how much I wanted them. Now even if we get another annoying spring snow storm, at least I still have flowers to look at. Since I have already done quite a few tulip digital backgrounds, I thought about my other favorite spring flowers. The purple irises in my garden always make me think of my grandparents house. My grandmother had a row of irises along their driveway that I loved. And even though the bulbs on my irises are not blooming yet, the stems and leaves are filling in. Hopefully I will have big purple blooms soon! Until then, I get to enjoy them on my computer and smartphone wallpapers. If you want flowers on your phone or computer screen too, you can download the smartphone wallpaper or desktop wallpaper by clicking on the links below. And if you don’t want to let go of a favorite digital wallpaper from the past, I also included a photo of just the current month’s calendar so you can keep it but include a current month’s calendar. 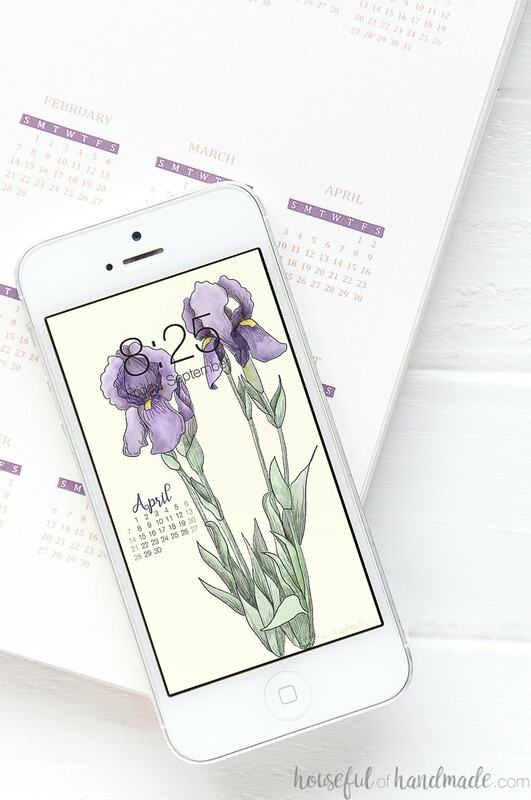 You can read how to add a calendar to a digital background and use the calendar only link. Now off to finish the bathroom remodel that I started last month, and then on to another big project… stay tuned! Sorry about that Carol! I fixed the desktop with calendar so it is this years. And double checked the rest. You are good to go! So lovely! Irises are some of my favorite. Thank you! I am so glad you like them Sarah! Enjoy.